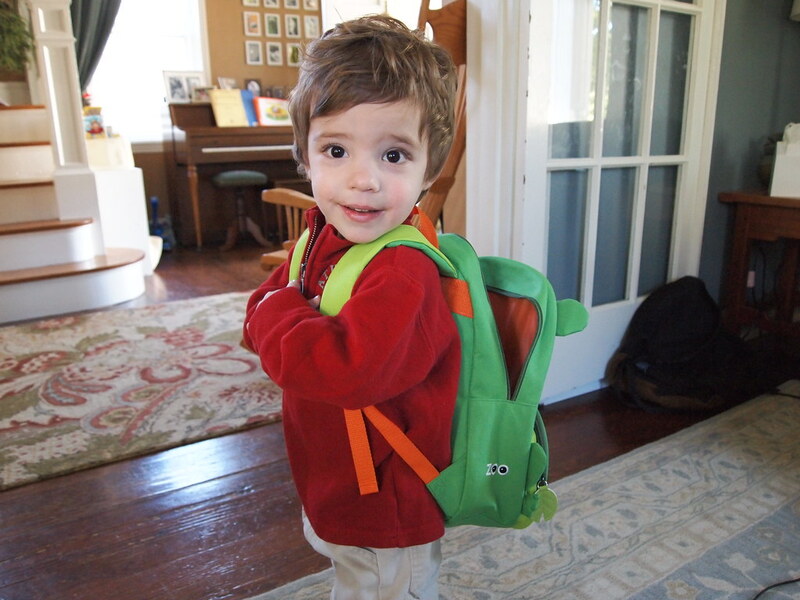 James is anxious to start preschool—even though he has awhile. In the meantime he likes to walk around our house with a backpack on while waiting to pick Sophie up. This entry was written by kara, posted on November 11, 2012 at 10:57 pm, filed under All and tagged backpack, James, preschool, waiting. Bookmark the permalink. Follow any comments here with the RSS feed for this post. Post a comment or leave a trackback: Trackback URL.